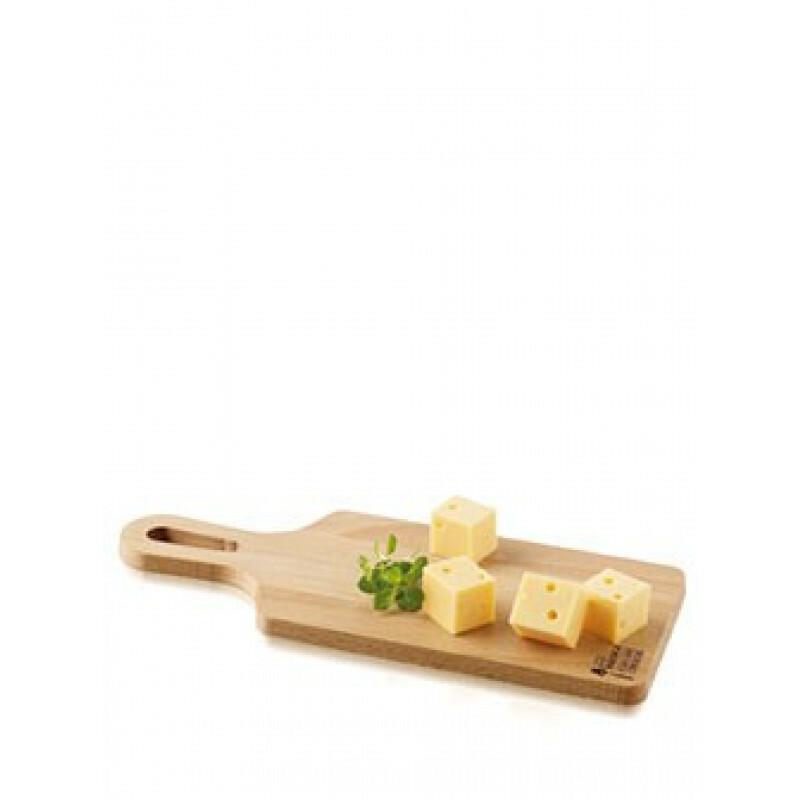 This luxury Cheese Board from the Explore collection has a very appealing and beautiful design. It is the 'little brother' from the Geneva cheese board series and thus the handest version. Made of beechwood, oiled, the board offers a surface that makes any table top look top-notch, with a bit more appeal than other boards. Another nice feature is the ability to safely store cheeses in the fridge on this board, making preparing for a party that much quicker and easier. Simple and beautfil are the key words when describing this board.